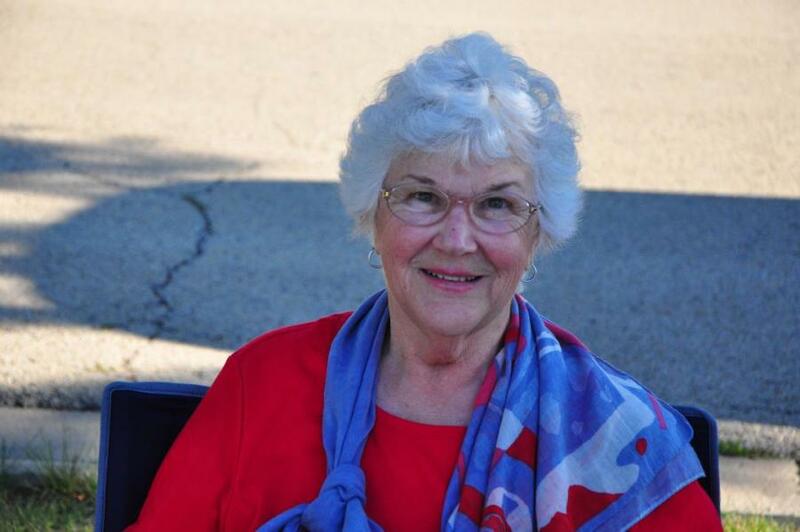 Doris Jean Wenzel passed away peacefully the evening of Aug. 29, 2018, at her beautiful home in Mahomet. She was born Doris Evon Waggoner on Feb. 11, 1940, to Glen Carl and Olive “Ruth” (Coen) Waggoner of Paradise Township, Ill. She was the youngest of 10 sisters and two brothers. At the age of 2, the 10 sisters were taken from their parents, made wards of the court and separated while their two brothers were serving in World War II. Doris was then adopted by Forest “Dale” and Sarah “Amanda” (Thompson) Replogle of Charleston in July, 1942. They decided to change Doris' middle name to Jean. Doris had a very happy childhood as an only child, but she also had the benefit of knowing the love of her natural family who would stay in touch with her over the years. She attended Lincoln Grade School, Jefferson Junior High and Charleston High School where she was active in cheerleading, theater and debate. Doris married Jerry Lee Porter at the very young age of 17. She began her family of seven children with the birth of her oldest son, Brian, on May 29, 1958. The family moved from Charleston to DeKalb to Wheaton, before settling in Glen Ellyn. Doris worked for the Leo Burnett Advertising agency for several years before studying at the College of DuPage in Glen Ellyn, where she also wrote for the school paper, participated in theatre and was part of the winning National Forensics Team. She earned a bachelor's degree at North Central College in Naperville, where she won the Lincoln Academy Award. She was featured in a film for the American Endowment for the Humanities (Look Homeward Angel), received National awards in theater, speech, acting, and writing, and received The Richter Fellowship. (With it, she researched the life of Mary Todd Lincoln, then wrote and produced a play, Without Discretion, based on her research). Doris and her first husband were divorced in 1982, leaving Doris to raise the two remaining children at home as a single parent. She then enrolled in a master's program at Northwestern University, but due to life circumstances, she put her degree on hold. In 1985 she enrolled at Illinois State University and completed her master's in communication, then upon graduation, was a Visiting Teaching Assistant at the University of Illinois at Urbana-Champaign. It was at this time that she met Harry. He was Professor of Civil Engineering and Assistant Dean in the College of Engineering at the University of Illinois. They were married on May 28, 1988, and the family grew with the addition of stepson, Kenneth Wenzel. Doris also taught classes at the College of DuPage, Parkland College and Lincoln College, and she taught federal compliance at a financial institution in Bloomington. In 1990, she founded Mayhaven Publishing where, among the hundreds of books, audiobooks and ebooks, she published Ten Sisters: A True Story and Ten Little Sisters, both written by Doris and her nine sisters. A segment in a PBS TV show about the sisters won the PBS Gracie Allen Award for short documentaries. Later, PBS TV in Champaign, produced a full-length documentary on the sisters. Doris was a member of the Screen Actors Guild, The Fortnightly Club and the Urbana Rotary and a frequent customer at The Hen House in Mahomet with her husband and friends. Doris was diagnosed with ovarian cancer in July 2015, almost exactly a year after the loss of her oldest son, Brian. She fought and won many fights with the disease and had several happy years with her very large family before succumbing. She has touched many lives through her business and has left quite a legacy for her children, grandchildren and great-grandchildren. Doris was preceded in death by her parents, two brothers, seven sisters and her loving son, Brian Harvey Porter. She is survived by her husband, Harry George Wenzel of Mahomet; two sisters, Irma Allen and Vera Barber of Park Forest; four sons, Todd (Cristina Marchisano) Porter of Mountain View, Calif., Cullen (Jen) Porter of Charleston, Aaron (Teri) Porter of Saint Michael, Minn., and Quintin (Elise) Porter of Mahomet; two daughters, Teresa (Paul) Hackler of Dover, Minn., and Michelle (Brett) Petersen of Minooka; one daughter-in-law, Lynn (Brian) Porter of Paxton; Kenneth Wenzel of 21 grandchildren named here for mom: Ryan Porter, Samantha (Ben) Magers, Sydney Porter, Nick Porter, Faye Porter, Emery Porter, Tom Porter, Kelby (David) Hines, Spencer Hackler, Olivia Hackler, Avery Hackler, Tara (Bosco) Taylor, Maddy Porter, Garren Porter, Brendan Porter, Kyle Porter, Quintin Porter, Aleida Porter, James Porter, Andrew Porter and Lilly Petersen; and five great-grandchildren, Teagan Porter, Riley Porter, Rayanne Taylor, Ozzie Taylor and Wynn Magers; many nieces and nephews and her lifelong friend and companion, Sharon Whitson Hayes. Visitation will be from 3 to 5 p.m., with a celebration of life service at 5 p.m., Friday, Sept. 7, at Blair-Owens Funeral Home in Mahomet. The family asks that donations be made in lieu of flowers to: Carle Hospice Care, 206 A W. Anthony Drive, Champaign, IL 61822.